I live right near Deerfield in Arlington Heights and I could totally see them still having a malt shop in the 80s. Because it wouldn’t have been. Powers didn’t manifest ’til he was a teenager. Also–with the qualifier that I don’t particularly know what the hell I’m talking about (Any opthamologists or neurologists follow us? Weigh in! )–the odds that he’s still got much in the way of functional color perception after like ten years behind a red filter seems pretty low. Did someone say neuroscientist? That’s me! So, sensory circuits get wired up during what are called critical periods, basically periods of time when the brain develops rapidly and environmental input is critical. If the color vision were blocked, maybe by ruby quartz glasses, during the critical period, we would expect a profound loss of color vision later in life. That said, the critical period for wiring up the visual system is relatively early in life (probably under 13 years old, but don’t quote me on that). So Scott would probably be okay, as he would have had normal sensory input during the critical period. I would imagine he would have some truly wild sensory adaptation effects going on for a while though. I had never heard of Sage. But it sounds like I’ve read a bunch of issues she’s in, they just all came before her introduction. X-Men continuity is weird. IIRC, she first shows up as a named character in the first X-Treme X-Men series, and returns in a less insufferable iteration in the second (generally much better) series of the same name. I’m looking forward to more discussion of the gender politics of the Dark Phoenix Saga (and Claremont’s run on Uncanny X-Men in general). Sometimes I think that there’s an underlying theme during that time period where Jean ends up being sort of a symbol of purity who then gets corrupted by the Hellfire Club and Phoenix Force. 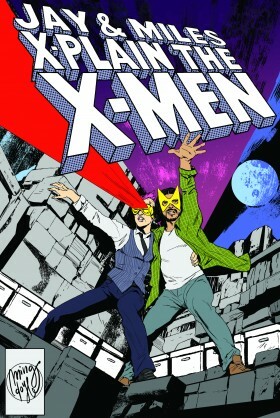 And maybe it ties into the pseudo-triangle between Jean and Scott and Wolverine as well. Do you think that this is a thing that Claremont was actually going for? I actually kind of wish I could unsee it, because idealized female purity symbols are gross. It definitely changes the interpretation of the scene on the butte for me. Pretty much everyone knows this, but I’ll mention it anyway: Claremont got a lot of the Hellfire Club stuff from the 1966 Avengers episode, “A Touch of Brimstone.” Jason Wyngarde’s name and look is based on Peter Wyngarde, who played the villain (although he wouldn’t have that particular facial hair until the 1970s), and the Black Queen costume looks a lot like Diana Rigg’s costume in that episode. The Hellfire Club from The Avengers was, of course, based on the 18th century “gentlemen’s club,” which was reputed to be more or less as depicted, and which counted Ben Franklin as an occasional visitor. I am dumb and am having trouble with the changes in the latest iTunes update. Found it. This run is such a part of my cultural DNA. I remember the chills the first time I read some of these stories. I think one thing that a lot of younger readers might not appreciate is how different the delivery method for these comics was. There were no comic shops until the early 1980s to speak of. In suburbia, I had to find these comics on spinners, if I could. And there was no guarantee that they would have a particular comic even when I wanted it. The idea of a new comics day? Didn’t exist to most readers. Fandom? Existed mostly in a vacuum, when it existed at all. I’m glad you’re generally walking through the DP saga in its contemporary context FIRST, though it’s also good to acknowledge the difference later. At the time it was SO. BIG. In this age of line-wide events, it’s hard to understand what a Seismic Shift this was, in comics. And I’m kind of stunned to realize (after you pointed it out) how long a game Claremont played, here. He truly was at the top of his game. 1) There was not one but THREE old school soda fountain/eg cream/malt shops in my neighborhood in Brooklyn as late as 1980. In fact, I bought my first Marvel comics at one in 1981, so don’t think the choice for Kitty’s hometown is that strange. 3) I am team Kitty forever. I haven’t listened to the episode yet, so maybe you covered this, but back when I was 12 or 13 I read a book called ‘Still she wished for company’ by Margaret Irwin. In it a young woman is time-slipping from the 1920s (when the book was written) to the 18th century and having a strange ‘romance’ with a member of the Hellfire Club. A few years later I was reading the Dark Phoenix saga as it was coming out and was struck by the similarities. A couple years down the road I’m listening to these; really enjoying them. I hope you don’t mind some two-years-late comments. 1) One thing you don’t mention is how brave & essential Kitty Pryde is from the get-go. (I always think of the Buffy line (since Buffy was modeled on Kitty), “I was always brave and kind of righteous…”.) At 13.5, when the X-Men are captured, instead of running and hiding she… goes after them and freakin’ SAVES THE DAY. (No call to the other team, they don’t come rescue team one.) How awesome is that? Another reason everyone loves Kitty. 2) One key structural thing about the Dark Pheonix Saga that you don’t mention is that it divides not into two parts but three. The first 6 issues are three fairly self-contained trilogies: the X-Men versus the White Queen (captured, almost captured, second group rescues first) and then the X-Men versus the Hellfire club (get captured, are captured, escape). Part of what makes the pacing of this particular story work so well IMHO. 3) I’m not sure it’s not fair to deduce the White Queen’s power from her holding her own against Phoenix, because the caption pretty clearly contradicts it: “At first, both women seemed evenly matched… but as the battle progressed, it became evident that Phoenix was merely taking the White Queen’s measure.” In other words, Jean was holding back, figuring out what Emma was capable of; she was toying with her. Ha ha, wtf? I’ve never been a huge Dazzler fan, but I love her for that.